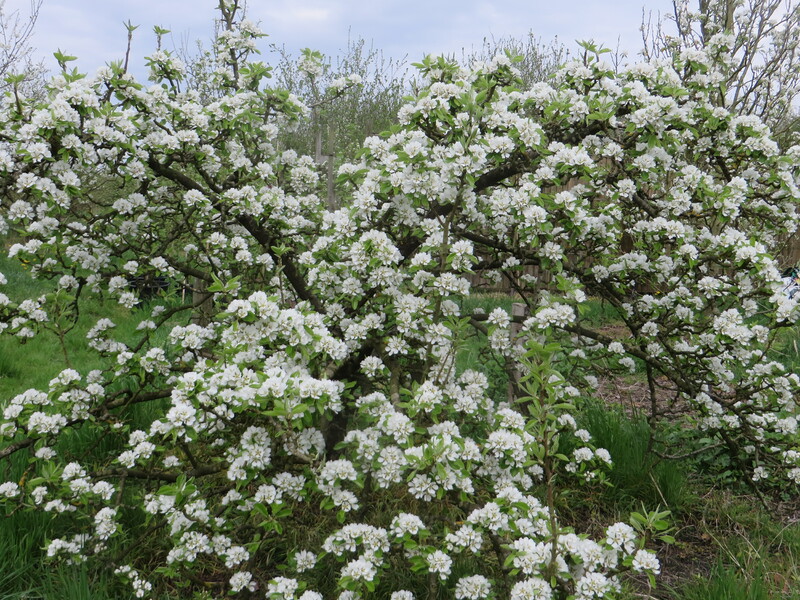 I can report masses of pear blossom on virtually all of my sixty odd varieties of pear growing in Nottingham. It is without doubt the best for years. Following a bonus of four hot days to get pollinating going, now I ask myself – will the limited amount of bees cope? Fingers crossed no radiation frosts or the return of the ‘Beast from the East’. Are pears doing well everywhere?